In addition, students will work on capstone projects with topics ranging from solar energy to digital imaging, under the guidance of an undergraduate student in optics. At the end of the week, these projects will be judged by the faculty of the Institute of Optics in a poster session open to the public and the media. More information can be found in the camp brochure. DATE, TIME, PLACE: Jul. 7- 11, with capstone projects presented on Friday, Jul. 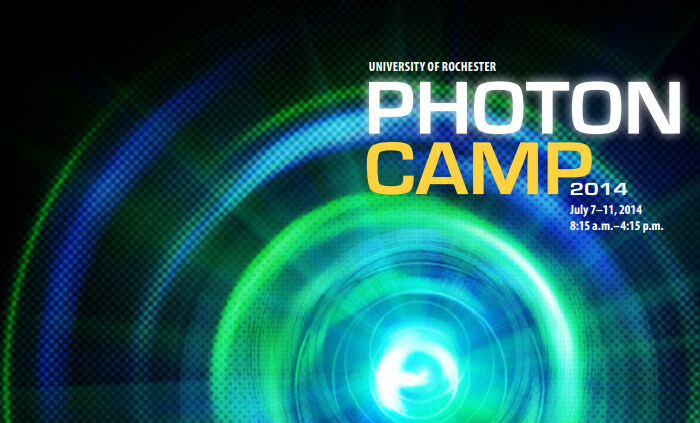 11, 3:00-4:00pm in Goergen Hall 108, River Campus, University of Rochester.